MainOpEdsWhy is European Antisemitism rising? After all these years of major hatred of Jews, the EU has not even made an effort to create comparable statistics on antisemitism. People frequently ask me why European antisemitism keeps rising. In newspapers they read about increase in incidents in various major countries. Before mentioning these figures, it should be noted that the statistics are not comparable between countries. Yet the annual figures in a specific country are usually obtained following the same methodology. 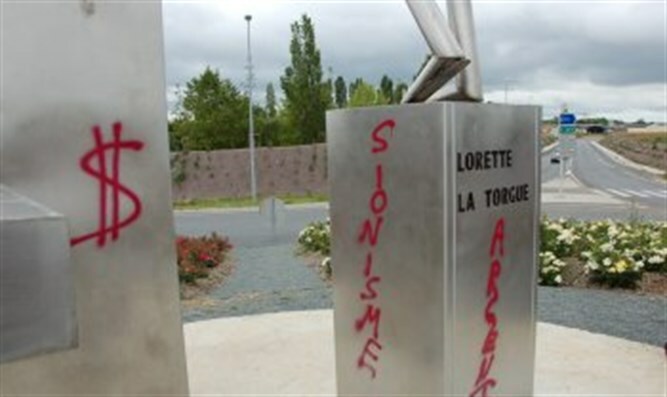 In France, according to the Interior Ministry, antisemitic incidents rose from 311 in 2017, to 541 in 2018. “Anti-Semitism is spreading like a poison,” commented Interior Minister Christophe Castaner. The German government reports that in 2018, 1646 crimes were linked to hatred of Jews. This represents an increase of 10% over the previous years. Physical attacks increased from 37 in 2017 to 62 in 2018. 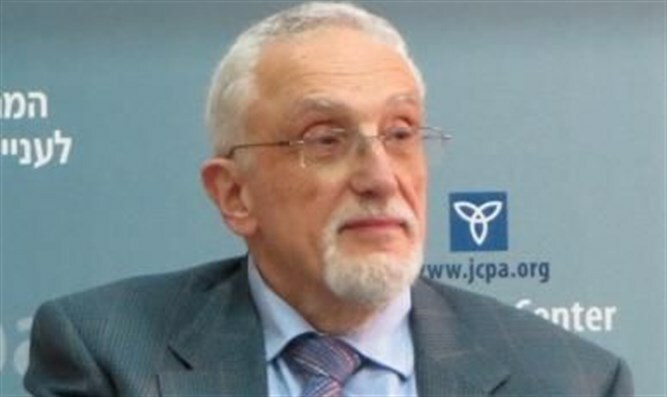 Data collected by the British Jewish defense organization, Community Security Trust, show that 1652 antisemitic incidents were reported in the UK in 2018. This represents a 16% increase over the previous year. The incidents,’ mainly nonviolent, took place at a fairly regular rate over the year. For the first time ever, at least 100 incidents were recorded every month. The more data gathered, the worse the picture becomes. A poll in March 2019 found that 90% of French Jewish students said that they have experienced antisemitic abuse on campus. Twenty percent said they suffered an antisemitic physical assault at least once. Of these, more than half reported suffering violence more than once. The 2019 Eurobarometer 484 study Perceptions of Antisemitism found that in all the above-mentioned countries the majority of the general public perceives antisemitism as a major problem. A variety of additional studies are available. The message about the increased European antisemitism is clear. So, what are the reasons? To fully understand this phenomenon would require a number of in-depth studies. Any analysis without these has speculative elements. But that does not mean that we know nothing. The fact that Israel did not engage in a large campaign in 2018, a record year of post-war antisemitism in Europe, seems to indicate that a major correlation with the Israeli-Palestinian conflict is not the main driving force of the hatred. Like so many issues in post-modernity, the reasons for the rise in antisemitism are fragmented. The claim that antisemitic incidents in European countries increase when Israel conducts major campaigns against the Palestinians may have been valid in the past. The more so as many Muslims who identify with the Palestinians now live in Europe. The fact that Israel did not engage in a large campaign in 2018, a record year of post-war antisemitism in Europe, seems to indicate that a major correlation with the Israeli-Palestinian conflict is not the main driving force of the hatred. A far more important element is structural: Antisemitism is an integral part of European culture. This has been the case for many centuries. Antisemitism is a far older characteristic of European culture than democracy. While antisemitism has been continuous over the centuries, the much younger concept of democracy was not. It has been interrupted by Nazism, communism and fascism in many countries. Part of this was voluntary and part the result of occupation. The best periods for Jews in democracies are usually during times of quiet. These days, unrest seems to be increasing. The mainly Muslim immigration accompanied by several terrorist acts has been an important factor in the rise of right-wing populism in a number of European countries. This in turn has led to reactions against the populism. The EU is passing through a period of uncertainty. Brexit is a major factor, but not the only one that clouds the future of the EU. Economic problems in Italy may start to impact the EU as a whole. The sluggish economic growth in the EU stimulates political movements which want to redistribute part of the wealth. All this creates general unrest and may to some extent impact the reality for Jews. Yet another factor is the neglect of government investment in the police forces in many places. Berlin is nowadays Europe’s antisemitism capital There are severe accusations against the Berlin Senate of not supporting its police. The police often lack technology, personal and legal tools in the fight against the major Arab clans which dominate organized crime such as prostitution, drug trade and “protection” money in the town. Against the above background, it is unlikely that great positive changes in the reality for European Jews will take place. Those Jews who want to live in Europe and publicly identify with being Jewish will have to live with antisemitism. The more Jewishly involved they are, the more likely they will continue to be faced with problems and threats deriving from hatred of Jews.